– Nikon Keymission 360 ($499 on Amazon or B&H Photo) 4K realtime stitching. Thank you very much to Jim Jensen (Google Photo Sphere Community) for bringing this to my attention! Thanks to Balance for reminding me about Insta360 Pro and Theta V! Thanks to Kuba for reminding me about Orah 4i! Hi Kuba. Yes if you don’t mind the $3500 price Orah can do that. But for $3500 i think you would be better off with Insta360 Pro. The only reason I didn’t mention it is because I thought you wanted a lower-cost camera. But if $3500 is ok, then Insta360 Pro has all of those (including RJ45), and has higher quality than Orah. I’m Camilla from Unicornis. 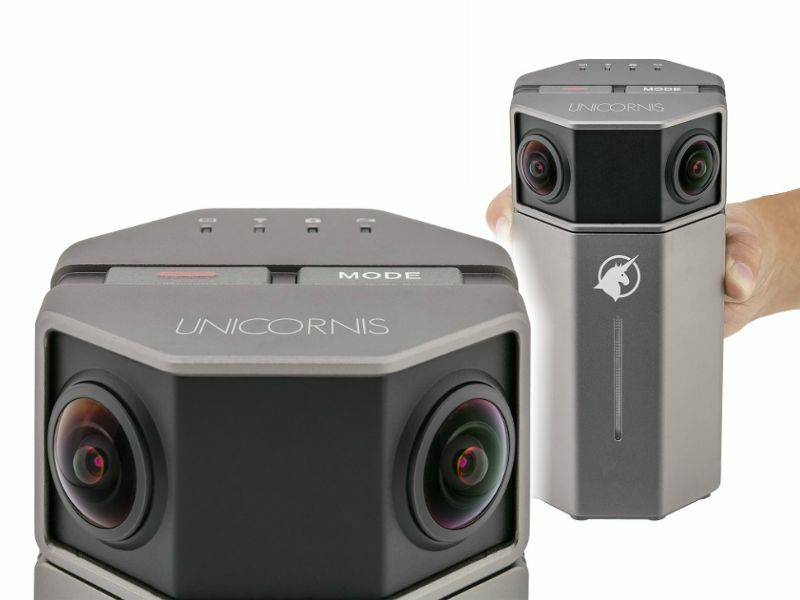 Our camera, Unicornis360, fits all your requirements. Please visit our website) (www.unicornis.io) or contact us directly for more info. No photo specs were included. Does it shoot stills? However 4k live stitching is good. Hi Giorgio. I don’t think 4k realtime stitching is such a common feature yet but the good news is that Pilot Era can stitch 6K in realtime. There is a 360 camera similar to Insta360/Orah, but waterproof? I need it to use it as a 24/7 streaming webcam. Hi Daniele! For 24/7 webcam, try Allie camera. http://amzn.to/2DrmUNb But it is not waterproof, and it seems that they’re about to discontinue it. On the plus side, it’s now much cheaper. I need waterproof. There is nothing? I tried sending an email to thank you for featuring us. Not sure if you’ve got it or not. So I’m sending it here as well. Thank you! Feel free to contact me if there’s any questions! Does anybody know if there is any rtsp/rtmp capable live streaming 360 camera with automatic live stream start after power on (or some programmable possibility [bluetooth API] by which we can program Android app to command camera start live stream to predefined server via predefined Wifi hotspot)? Your comments is highly appreciated. For example, Yi 360 have live streaming, but it always need user clicks to start it up. Our need is kind of industrial use case where no extra clicks are allowed. Thank you.